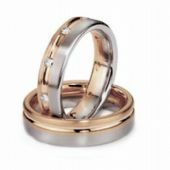 While standard dome and flat designed wedding bands offer a traditional approach to wedding ring selection, the His & Hers sets create a duo unlike any other. 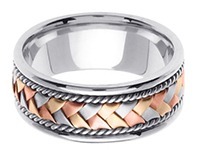 With two bands complimenting one another in both style and individuality, His and Hers sets are created as a special token of pairing rings. 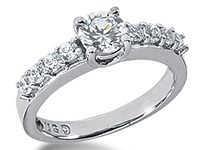 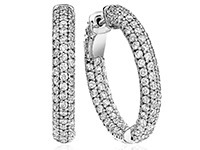 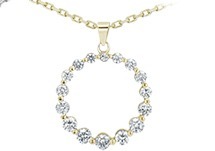 Many sets reflect diamond cut patterns, gold coloration, and the addition of diamonds or gemstones. 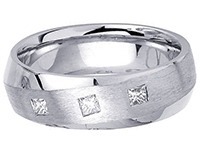 Wedding band sets cater to the feminine requests with diamond inclusion for her band and the more masculine and wider band for him. 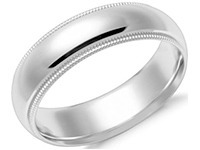 The pairing of His and Hers wedding band sets symbolizes the union of individuals coming together in harmony creating an everlasting love and marriage. 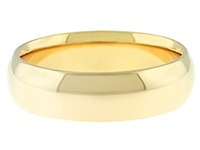 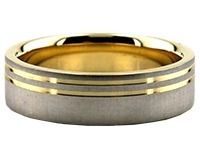 His and Hers Wedding Band sets allow couples to further display their attachment and commitment to one another. 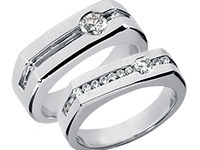 While many of our rings are a matching pair in every aspect of design and execution, many of these styles have minute, but distinct differences between the "His" and "Hers" rings. 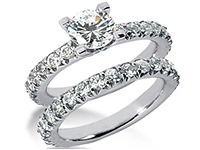 For instance, many of the "Hers" rings are of the same style as its masculine counterpart, but set with diamonds, to give it an extra sparkle and distinctly feminine look. 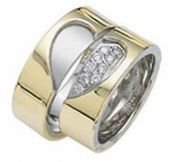 Our lovely His & Hers Wedding bands are designed to reveal the magnificence of harmony, linking two people who are in love. 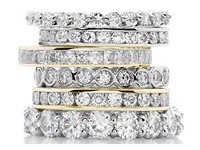 To commemorate the beauty of partnership, Wedding Bands Wholesale offers a vast range of striking His & Hers Wedding Bands that are as distinctive as your relationship. 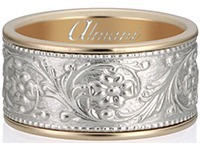 We craft every one of our rings with special care and attention to make certain that your rings are extraordinary beginning the minute they are ordered. 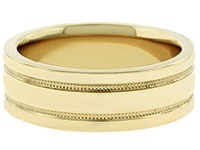 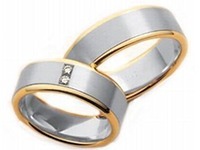 The wide selection of His & Hers Wedding Band Sets offered by Wedding Bands Wholesale are a great choice when trying to show you and your partner’s unity and devotion. 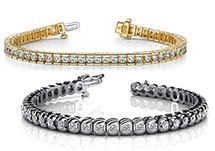 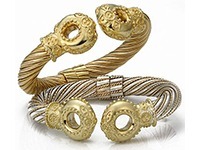 Our His & Hers sets are a wonderful means to symbolize your shared creativity, style and affection as you begin an exciting new life with your spouse. 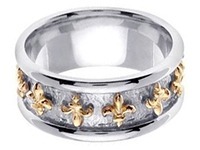 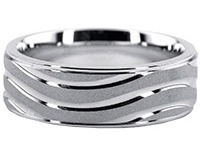 These rings combine the masculinity of a man’s ring with the feminine beauty of a woman’s ring in one unified design. 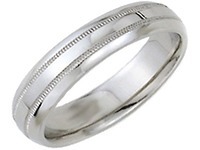 The rings are handmade to perfection and unique to Wedding Bands Wholesale. 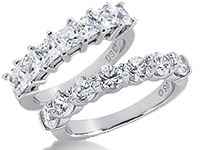 Together they are stunning and separate they are sentimental reminders of your “better” half. 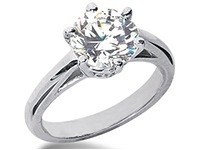 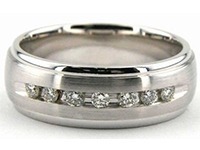 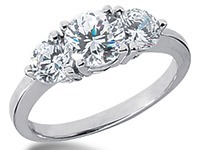 At WeddingBandsWholesale.com, every ring we make is handcrafted to perfection, with unceasing attention to detail, and a desire to make each and every one of our customers exceedingly happy. 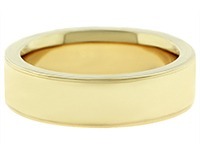 Every couple choosing from our His and Hers Wedding Band sets will know that their rings were made just for them, with their happiness in our minds, and at our hearts.